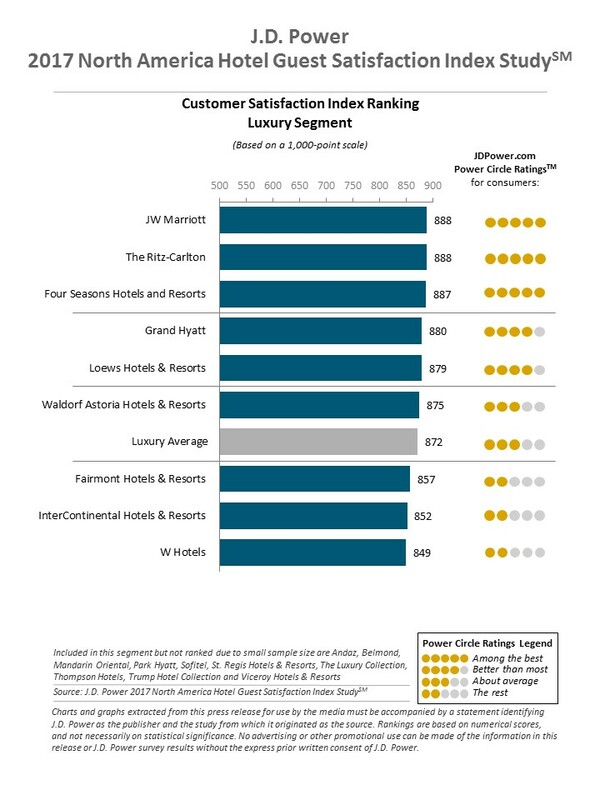 Mobile apps are becoming as central to the hotel guest experience as soft pillows, extra towels and a competitive price, according to a new study by customer satisfaction survey company J.D. Power. According to the just-released 2017 North America Hotel Guest Satisfaction Index Study, incorporating mobile apps and functionality into a hotel stay is associated with higher guest satisfaction. 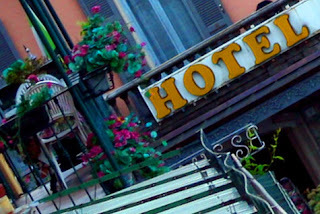 Integrating this technology also makes guests more willing to share their positive hotel experiences on social media. Deployment of mobile technology, however, carries risks for hotels, including that greater use of mobile devices for booking means some guests might book their room through an online travel agency (OTA) rather than directly through the chain’s own website. While OTAs remain popular among many guests, there are some disadvantages to their use, such as the need to deal with a third party if problems arise with a reservation, as experienced and reported by TheTravelPro. Further, online travel agencies are associated with lower guest satisfaction, which can also reflect negatively on the hotel. Not surprisingly given those factors, a current trend in the industry is to emphasize direct booking, where a hotel guest books a room directly through the hotel rather than using third-party sites. Pushing for more guests to become rewards members will likely enhance this effort, the company said. 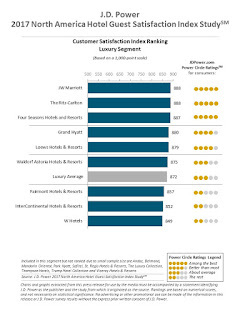 The study, now in its 21st year, measures overall guest satisfaction across eight hotel segments: luxury; upper upscale; upscale; upper midscale; midscale; economy; upper extended stay; and extended stay. Seven key factors are examined in each segment to determine overall satisfaction: reservation; check-in/check-out; guest room; food & beverage; hotel services; hotel facilities; and cost & fees. Satisfaction is calculated on a 1,000-point scale. Direct booking: When guests book through an independent travel website or mobile app (e.g., Expedia, Travelocity) instead of directly with the hotel, they are more likely to experience a problem and to be less satisfied with their stay. Membership matters: Hotel rewards members are far more likely to book directly with a hotel or on a loyalty member site than those who are not members (75 percent vs. 47 percent, respectively), and their satisfaction is higher. The number of those who book through OTAs is increasing (19 percent in 2017 vs. 16 percent in 2013), despite the concerns some guests have ranging from earning hotel rewards to strict cancellation policies. Mobile mania: In 2014, 14 percent of online reservations were made using mobile means (smartphone or tablet), and now that percentage is 25 percent. Those utilizing mobile reservations are more likely to be younger or business travelers. Not so mobile mania: Among guests who have a hotel’s app on their mobile device, 38 percent don’t use it during their stay. Only a tiny percentage of check-ins (4 percent) and check-outs (1 percent) occurs through mobile apps, but when it is used, it is associated with higher guest satisfaction. Get 'em to try the app: Guests who download and use a hotel's mobile app are more satisfied and have greater loyalty to that brand. While only 19 percent of all guests have downloaded a hotel app, 70 percent of rewards members have done so. Social media surprise: Despite the perception that people posting to social media only do so to complain, guests describing their experience via these channels appear to be more satisfied overall. At the same time, those who do experience a problem are extremely likely to post to social media (86 percent). Reading is fundamental: Slightly more than half (52 percent) of guests have read a review of a hotel, industry news or an online forum in the past month, and 46 percent of those guests wrote a review in the past six months. Review readers and writers are also more likely to have higher guest satisfaction. The 2017 North America Hotel Guest Satisfaction Index Study is based on responses gathered between June 2016 and May 2017 from more than 63,000 guests in Canada and the United States who stayed at a hotel in North America between May 2016 and May 2017. For more information about the 2017 North America Hotel Guest Satisfaction Index Study, visit the J.D. Power website.